Are you interested in learning about social justice here at OSU? The Intercultural Student Services office, in cooperation with other offices within the Division of Student Affairs, has started registration for Winter term social justice retreats. Both are detailed below. Please visit the ISS Retreats page for further information. There will also be an information session for students to learn more about the retreats on Thursday, November 20th from 12:00 to 1:00 pm in MU 208. Racial Aikido seeks to empower Students of Color at predominantly White institutions (PWI) using the principles of aikido to recognize, respond, and replenish. Originally created at the University of Vermont, Racial Aikido acknowledges that People of Color may be ill prepared to deal with issues of race and racism as it affects them personally. Racial Aikido promotes tools for People of Color to maintain a positive self-image and be able to respond to overt and covert racism. By the conclusion of the retreat students will have a better understanding of White privilege, in-group and internalized oppression, identity development models, and be more self-aware of their multiple identities. Students will learn by active participation how to recognize racism, respond to racism in a self-affirming and positive manner that is appropriate for the situation, and replenish by taking care of their needs in order to maintain a healthy physical, emotional, and spiritual self. This year’s retreat will be the weekend of January 9-11, 2015 at Hatfield Marine Science Center in Newport, OR. The Examining White Identity (EWI) retreat focuses on White identity development, White privilege, and oppression in both personal and institutional contexts, and introduces strategies to dismantle oppressive systems. We will look atways that understanding these issues will help us address White privilege and oppression in ourselves and with other White people and become better allies for social justice. This year’s retreat will be the weekend of January 9-11, 2015 at the B’nai B’rith Camp near Lincoln City, OR. Posted in Awareness, Events, Learning Styles. On Wednesday, December 4 at 7:30 pm, there will be a free seminar, “Understand & Manage Your Adult ADHD,” with Dr. Dan Gollutz. Please register by calling (541) 758-1556 or emailing workshops@peakpsych.com, since space is limited. The seminar will be held at 1300 NW Harrison Blvd, Corvallis, OR. For full details, visit http://www.peakpsych.com/events/. Posted in Awareness, Events, Learning Styles, Resources. Do you find yourself reading and re-reading your textbooks and notes but feel you still can’t remember the information? When it comes to studying the quality or technique you use can be more beneficial than the quantity of time you spend. 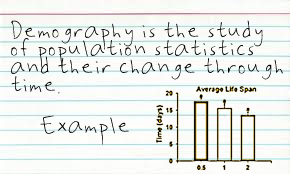 One technique that many students find helpful is creating notecards, also known as concept cards, or summary cards. Notecards can be very helpful for people who are kinesthetic learners because you can carry them on-the-go, pull them out before class or at the gym, and the creation of the notecards themselves can be helpful in learning and memorizing the information. Make notecards from your readings and your lecture notes. Don’t get in the habit of re-reading and re-reading information. Notecards help you “do something” with the information! Do something with your cards! Don’t just read them once. First, find the answer to the question/meaning of the concept. Second, say out loud, in your own words the answer to the question/meaning of the concept. Quiz yourself! Turn the cards over and quiz yourself. Be sure to say the answer out loud. Check to see if you answered the question correctly. Once you’ve mastered the card, be sure to periodically check back to make sure you still understand the concepts. Try studying cards throughout the term, rather than waiting until the end. Other helpful tips: Color coding your cards by chapter, concept, or theme can help you recall the information. Using pictures, drawings, phrases, or rhymes can also be memory aids. Take your notecards with you everywhere. You can study them while you are waiting in line, in the car, while you are waiting for an appointment, or before class. Posted in Learning Styles, Study Tips. Learning Styles…they make a difference! Many of you probably have taken some type of learning style assessment in your lifetime. Do you know your learning style? If you do know how you learn best, do you apply that in your study techniques? Many people know there learning style, but don’t know how to use it. The subject of today’s blog is to talk about specific ways you can utilize your learning style to pump up your study techniques and hopefully increase your success in the classroom. Have you heard of the VAK? The VAK stands for a learning style inventory that determines whether you are a visual, auditory, or Kinesthetic learner. The VAK is only one type of learning style inventory/assessment out there and there are a myriad of learning theories that have been used to determine learning styles. Read more: http://en.wikipedia.org/wiki/Learning_styles. I recommend the Building Excellence (BE) Survey available at http://www.learningstyles.net/. The survey is a great assessment tool to find out what learning preferences you have. The BE explores how the time of day, whether or not you are eating or drinking, room lighting, and many more variables might can affect your ability to learn. How can learning your learning style help you? So…after you learn your learning style what’s next? The BE survey results give specific recommendations on how to study. It might also be helpful to employ study techniques designed for multiple learning styles. If you have the luxury of choosing types of courses and professors within your major it may be helpful to take into consideration your learning style along with the professors teaching method and course structure. Use diagrams or visual representations to help you remember processes, events, timelines, etc. Watch videos or movies related to the material. Take notes and copy diagrams from the board. Color code your notes or readings using different colored pens or highlighters. Underline or circle important words in your notes or book. Hear it, say it, write it. This will help you remember important information. It’s important to remember that applying different study techniques will increase the chance that the information will “stick” and you’ll be able to remember it for that 8:00 a.m. exam. For more study techniques based on your learning style you can make an appointment for Academic Coaching! DAS students should contact a DAS staff member for an appointment by calling 541-737-4098.